Dimensions 1.25 by 9 by 12 in. 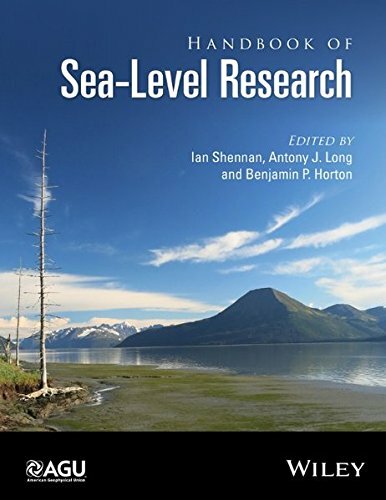 Amazon.com description: Product Description: Measuring sea-level change Ã¢ÂÂ be that rise or fall Ã¢ÂÂ is one of the most pressing scientific goals of our time and requires robust scientific approaches and techniques.ÃÂ This Handbook aims to provide a practical guide to readers interested in this challenge, from the initial design of research approaches through to the practical issues of data collection and interpretation from a diverse range of coastal environments.ÃÂ Building on thirty years of international research, the Handbook comprises 38 chapters that are authored by leading experts from around the world.ÃÂ The Handbook will be an important resource to scientists interested and involved in understanding sea-level changes across a broad range of disciplines, policy makers wanting to appreciate our current state of knowledge of sea-level change over different timescales, and many teachers at the university level, as well as advanced-level undergraduates and postgraduate research students, wanting to learn more about sea-level change. About: Measuring sea-level change â be that rise or fall â is one of the most pressing scientific goals of our time and requires robust scientific approaches and techniques.